Flowers in early spring. 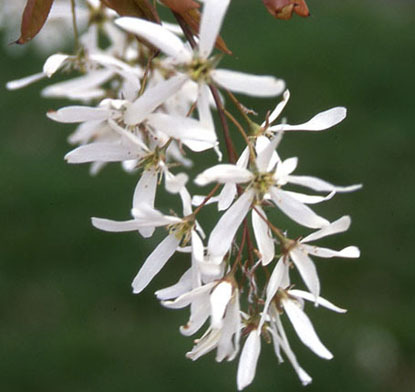 Not as dense as other Amelanchier species. Brilliant yellow to orange fall color. Red-black berry is highly sought-after by birds. NATIVE.